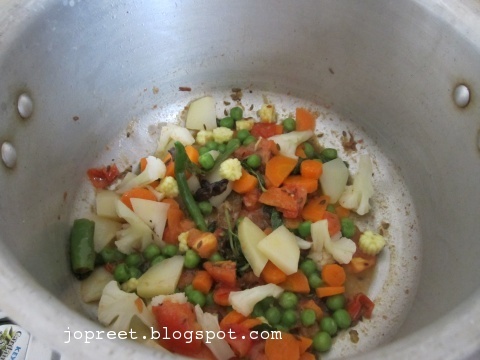 Cook all the vegetables in water for 10 mins. Remove from the heat and drain the water completely. Heat 2 tbsp oil in a pressure cooker. Add cloves, cinnamon, mace and black cumin seeds. Saute a while. 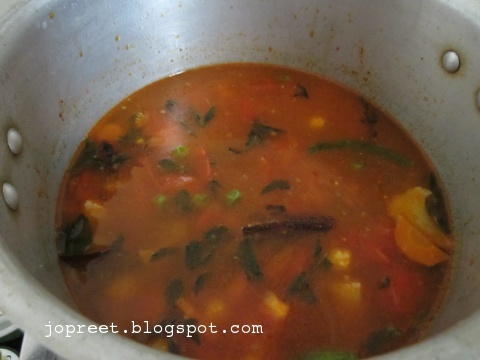 Add chopped tomatoes and cook for a min. Add ginger-garlic paste and mint leaves. Cook for 2 mins. 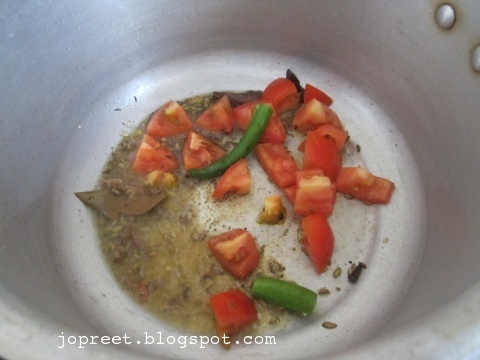 Add cooked vegetables, turmeric powder and red chili powder. Saute a while. Add 6 cup water and mix all. Add rice, lemon juice and salt to taste. Mix well and close the lid. Pressure cook for 3-4 whistles. Remove from the heat. And let it rest for 10-15 mins. Garnish with chopped coriander and serve with onion raita or any veg/non-veg gravy. Delicious, healthy and yummy pulao. All times favourite. i love this beautifully cooked rice.. Simply, yet so delicious and colorful too..
love this kind of simple n tasty one pot meal…looks delicious! 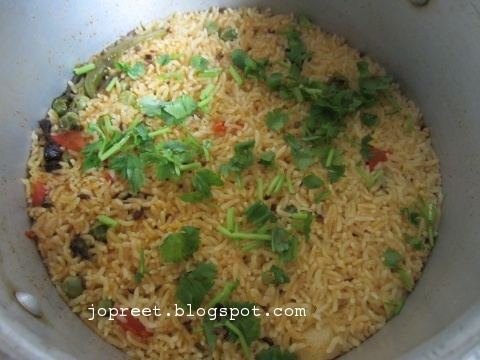 very healthy rice recipe dear.. Healthy and yummy Pulao !!! Simple will alway rockzzz !!!! Very delicious and a quick fix I think..Nice idea with lunch box as well Preethy. Simple but yet a flavourful pulao.